Iridescent sequin mesh over aqua spandex leotard with adjustable straps and attached drape. 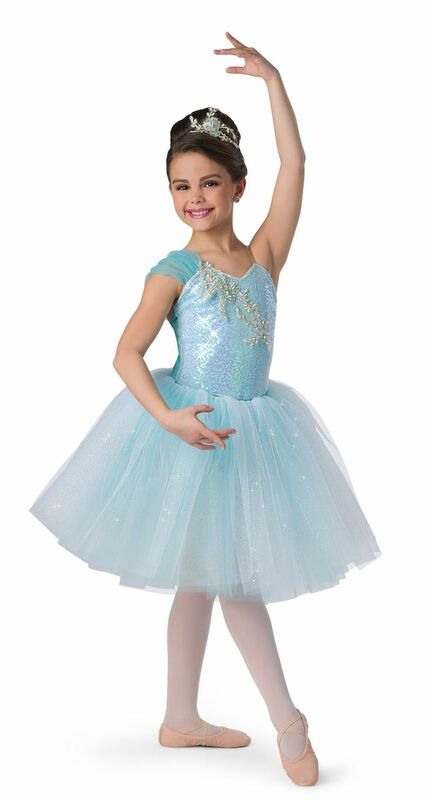 Separate glitter tulle over aqua tricot euro tutu AND soft tricot mesh skirt with handkerchief hem. Appliqué trim. Made in the USA / Imported.